Dickinson’s MANdatory program celebrated its largest graduating class this year since its founding in 2010 with 11 students. According MANdatory student co-leader Kevin Ssonko ’20, this year’s class was larger “partly because this was the largest class of students of color [but] also because we had the support of the POSSE [Foundation], B[lack] S[tudent] U[nion] and Latin American [& Caribbean] club. People advertised for us….” Ssonko also added that MANdatory also participated and hosted several events both before and at the beginning of the semester to promote membership. According to MANdatory’s website, previous classes varied in numbers anywhere from three to eight members. According to several attendees, the graduation was especially inspiring. 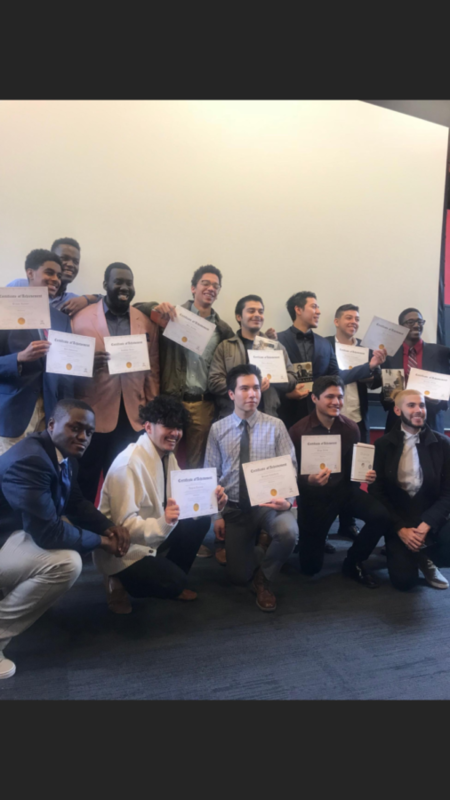 “It was really moving to see the graduating men reflecting on their experiences from the program…Clearly it was an empowering journey that has poised these 11 first-years for great success at Dickinson and in life,” stated Faryniak. Stefanie Niles, vice president for enrollment management and another attendee, also reflected on the benefits of MANdatory. 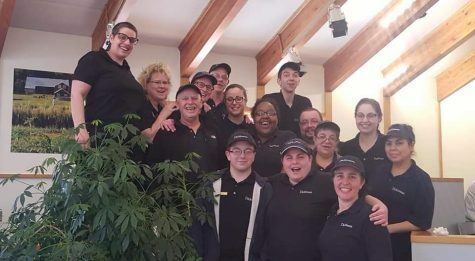 “While many of the graduates made lighthearted, joking comments about their participation in the program, it was very evident that it was meaningful to all of them and they all benefitted from their mentoring, the camaraderie and the support of the staff and student leaders and fellow participants,” she explained. In the fall of 2017, faculty and staff led presentations on academic excellence in the liberal arts, health and wellness, study abroad and community service and engagement for the members of MANdatory. The program also incorporated additional social and community activities, such as participating in the Hunger Banquet, viewing the 2018 film Blank Panther as a group and attending the Carlisle Black History Festival. This year’s graduation took place on Saturday, March 3.